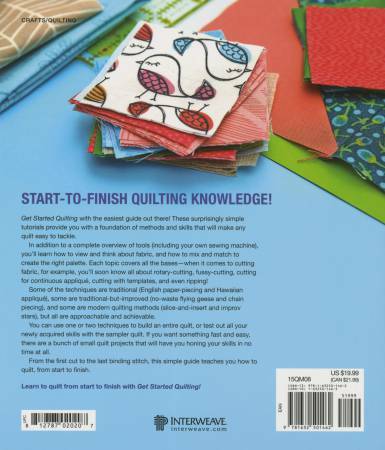 An all-in-one guide to contemporary quilting techniques for beginners! 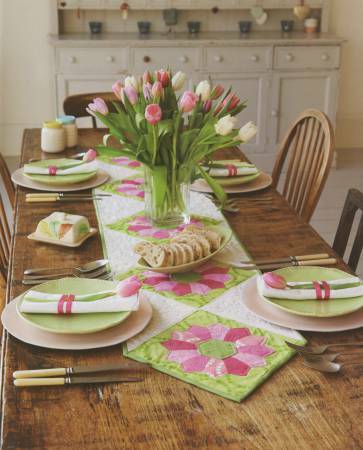 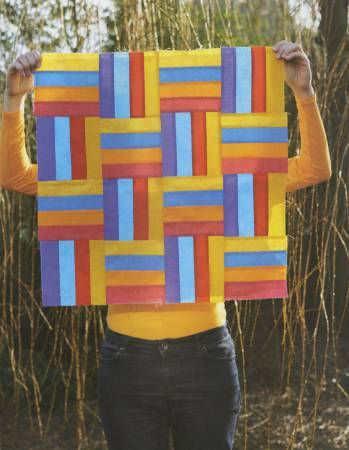 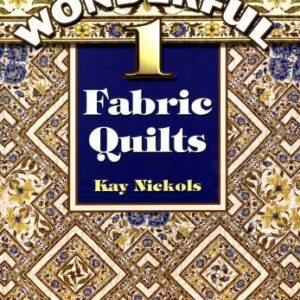 Quilting can often seem complicated and overwhelming, but it truly is a craft that anyone can do—taken one step at a time, this fantastic hobby is really quite easy. 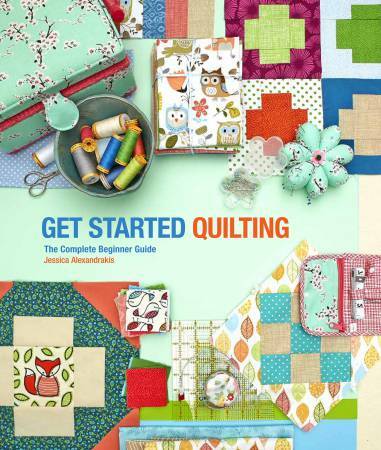 Get Started Quilting takes readers on a steady path to learning the essential techniques, tricks, and tested methods of quilt making, focusing on one skill at a time. 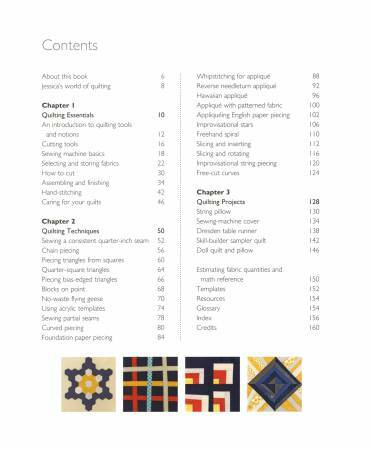 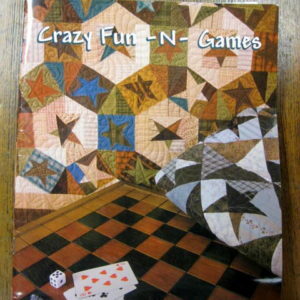 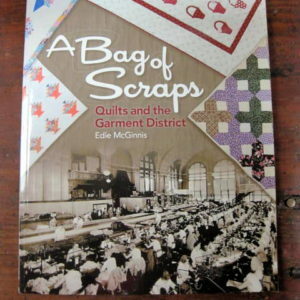 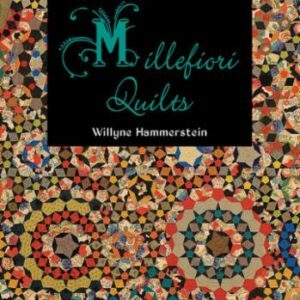 This all-in-one volume covers fabric selection, cutting, pressing, sewing (by hand or machine), piecing and joining blocks, basting, hand and machine quilting, and binding and making labels. 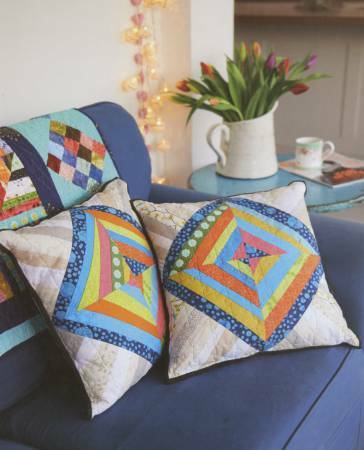 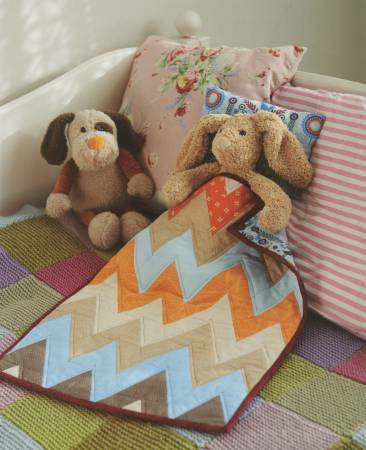 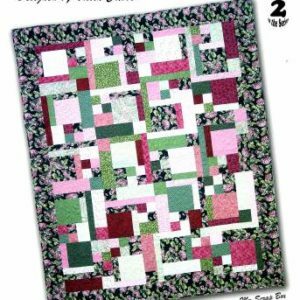 Quilt blocks range from traditional to contemporary, including basic patchwork and applique as well as improvisational piecing. 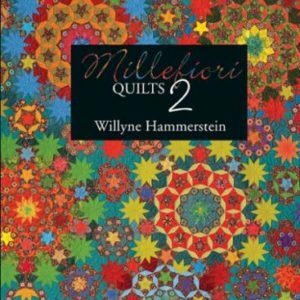 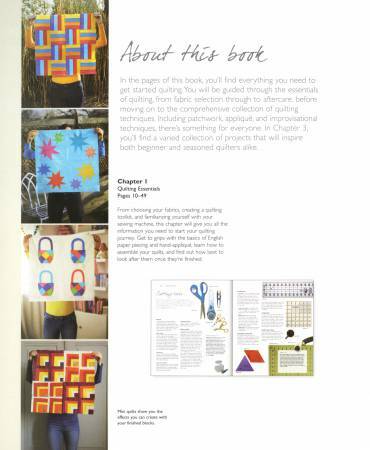 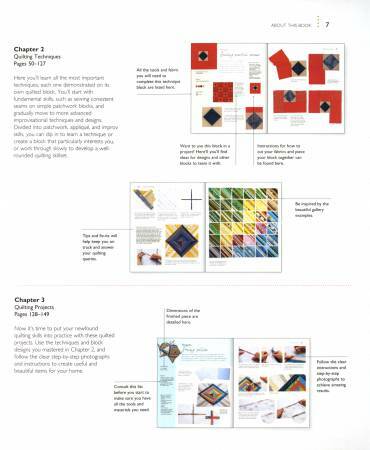 Working through the book, the reader can pick up and develop all the basic quilting skills they need. 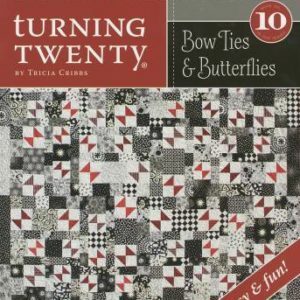 Using a range of delightful fabrics, patterns, and colorways, they’ll discover how they can put quilt blocks together in a variety of layout designs to create wonderful modern projects.